Rock Resurrection Art : Shipping to Brazil now available! 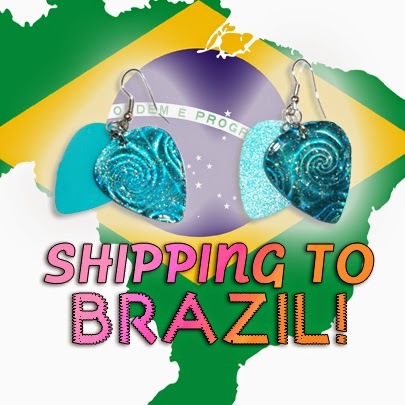 Shipping to Brazil now available! After studying my shop analytics, I found that the 3rd most popular [of people browsing my shop] location is places like Sao Paulo, Brazil. So after doing a little research and even less math, I have set up a shipping option for Brazil at checkout! Now the fans of my jewelry in Brazil can purchase my items! If you have any questions about shipping to Brazil, contact me!